As you may recall, I’ve been reading about the Marukobune of Lake Biwa. In the book, there are some small drawings of various boat used in and around the lake. 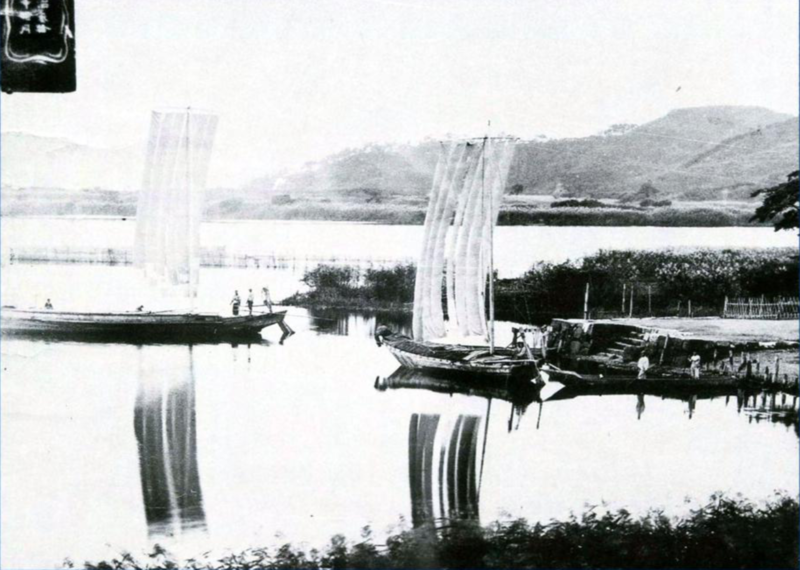 Besides the Marukobune, which was a cargo and passenger transport, there were fishing boats and rice field boats, the latter often being used for various tasks. I was intrigued by the many small wasen types, so I’ve been on a hunt for better drawings. The ones in the book are nice, but they were scanned and printed at a fairly low resolution, as they appear pretty small in the book. They also have no scale. 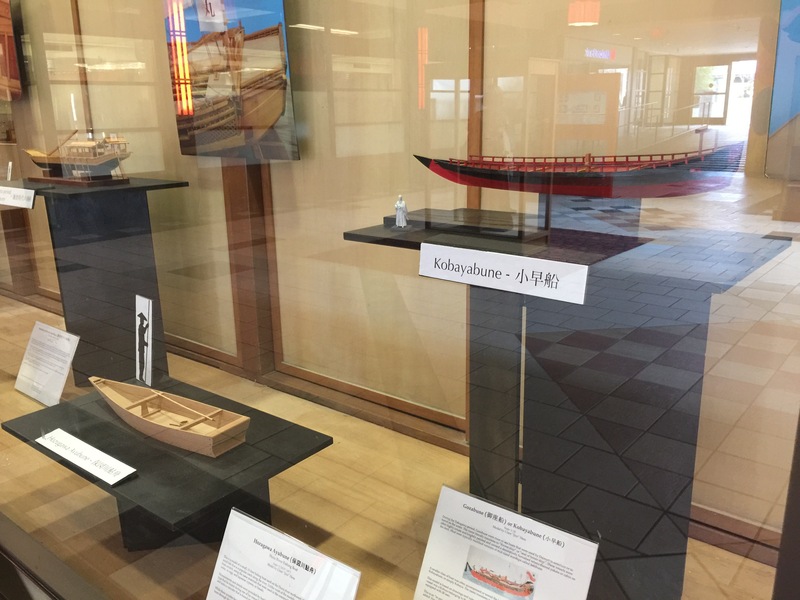 My next display of models of Japanese traditional boats will run through the month of February in the display window of the Union Bank community room inside the Japan Center’s East Mall. It’s hard to believe, but this will be my eighth such display. 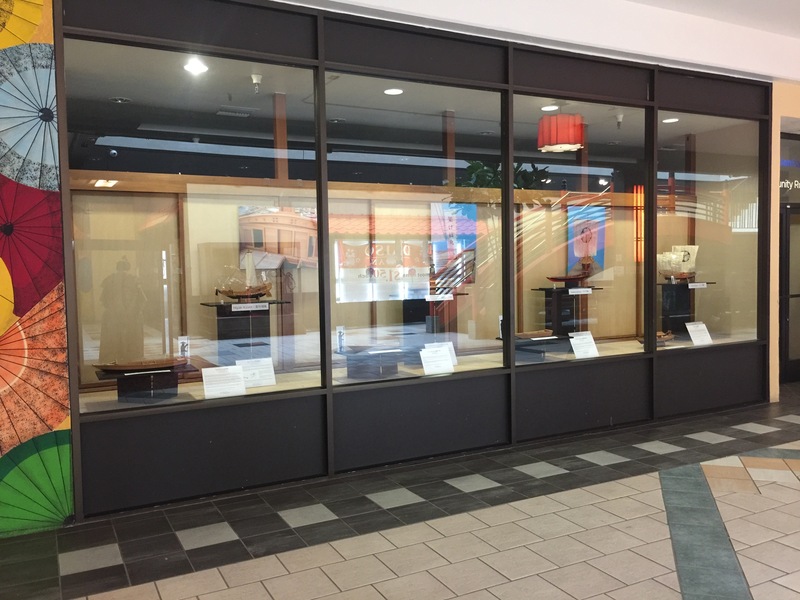 I made two more tall stands this week, giving me a total of seven stands, which is enough to put all the models I brought last time up on stands, getting them up off the floor of the display window. However, I’d like to put my Kobaya model on display too, even though it’s not yet complete – I did the same thing with my Kamakura period Umi-bune last time, which is done now. The Kobayabune, though not complete, is my latest addition to the Japanese boats display. Higaki Kaisen – 1/72-scale Woody Joe kit of a coastal transport. Hacchoro – 1/24-scale Woody Joe kit of a Yaizu bonito fishing boat. Yakatabune – 1/24-scale Woody Joe kit of an Edo period pleasure boat. Tosa Wasen – 1/10-scale Thermal Studio kit of a Tosa fishing boat. Hozugawa Ayubune – 1/10-scale model of a fishing boat from the Hozu river. Urayasu Bekabune – 1/10-scale model of a Tōkyō Bay seaweed gathering boat. 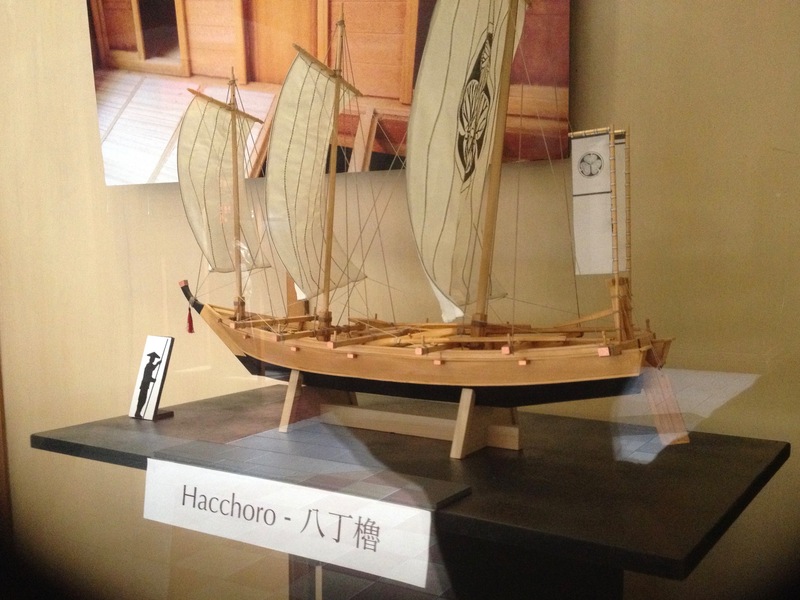 Kobaya – 1/32-scale model of a boat belonging to the Shōgun’s government. It is now set up and will be available for viewing through the morning of 2/28/19. Work on the drawings of the Tenma-zukuri chabune continues. Over the past months, I’ve been making changes to my drawings of this wasen that I found in the the Funakagami. With the help of fellow modeler Kouichi Ohata and my mentor Douglas Brooks, I’ve gone through several revisions of the plans – seven major ones, so far. Tenma-zukuri chabune, from the Funakagami. The biggest difficult has been in analyzing the single wood-block print of this type. 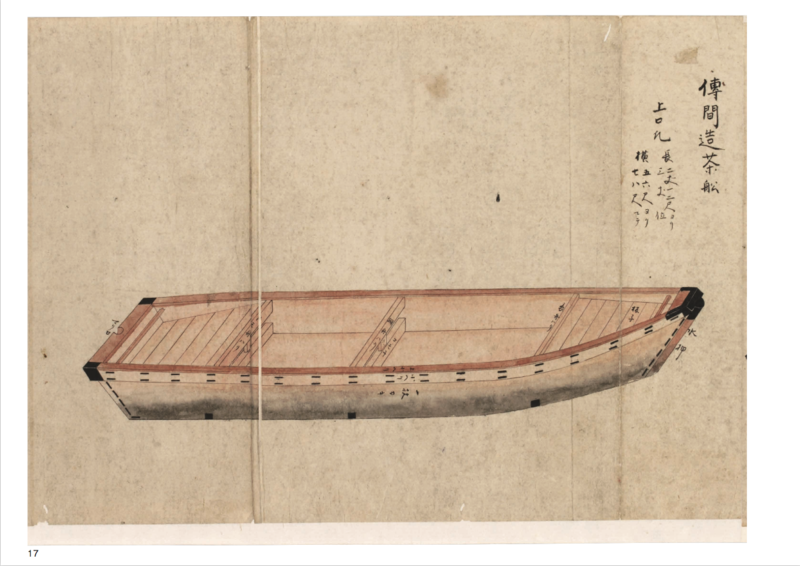 Compared to other boats in the Funakagami, this one has a very flat bottom, showing no real rise at the stern, which may be possible, but it’s really throwing people, as it seems very unusual for a Japanese style boat. Also, if you look at the near side of the boat, particularly the bottom, it doesn’t appear to show any inward curvature. This threw me initially, as this is, again, pretty unusual. 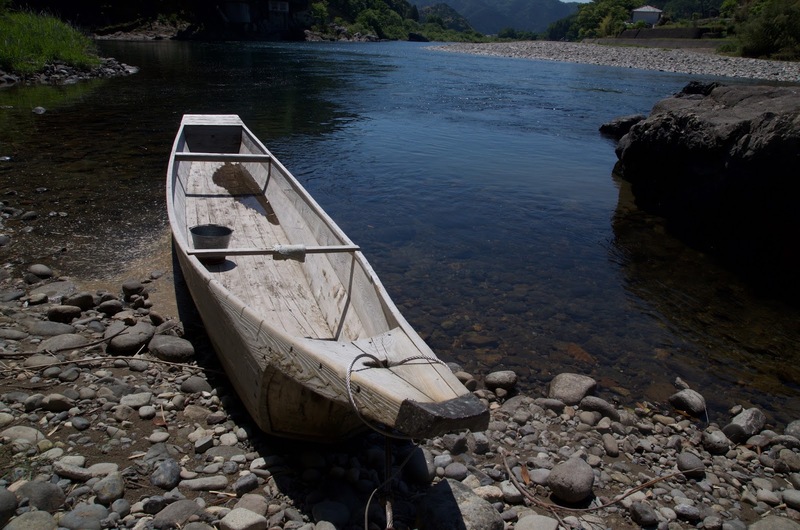 It’s not impossible, as the hozugawa boat I built doesn’t have any inward curvature at the stern either. But, looking more closely, at the far side, you can clearly detect inward curvature at the stern. The lack of curvature had bothered some people, so I’m glad I could spot some in the image to justify it on my drawings. Last week, I wrote a post about a pair of articulated 1/10-scale figures I bought made by Bandai of Japan called Body-Kun. 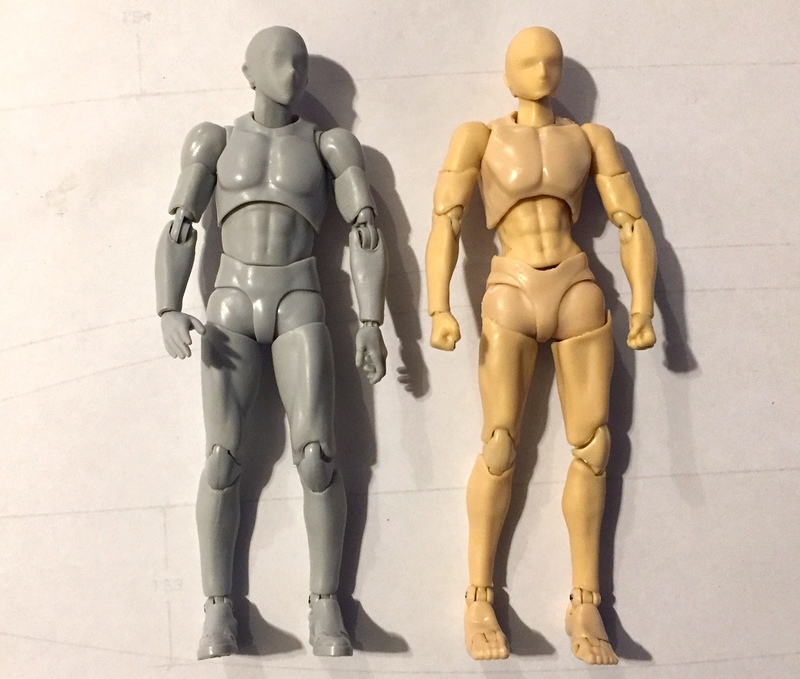 The figures are a bit short, but a little long in the legs, so I hope to modify them slightly to make them a little closer to correct height by adding a little filler in their midsections. Ideally, I’d add some filler into the arms too, and make the heads a little larger. But, reasonably, I can only do so much. In any case, I’m pretty sure I can do something with them, so I went ahead and ordered another pair off of Ebay for just over $30. However, I noticed that there was apparently another version, which had replacement arms and legs, to allow the figure to naturally sit seiza, or “Japanese-style”, and to allow him to have his arms folded across his chest or just his hands folded in front of him. The biggest differences I realized only after getting the figures was that they’re a little skinnier than the other figure and, more importantly, they’re barefooted, which is exactly what I need for Japanese figures of this period. I can always rig zoris, Japanese-style sandals, waraji, straw sandals that are tied around the foot, etc. Original figure on the left, the new one I received on the right. I think I chipped the chin of the new figure, which is why it looks a little odd. Should be repairable without too much trouble. For the past many months, I’ve been feeling the need to add figures to my models. The models, by themselves, are nice. But to really give the feel of how the boats were used requires additional details, and figures have the added benefit of creating a sense of scale. I’m not very good at making figures yet, but I’m working on it. In the meantime, I’m trying to use commercially available figures. This isn’t all that difficult in scales like 1/32 (Kobaya), 1/48 (my Kamakura period sea boat is 1/50 – close enough), 1/72 (Higaki Kaisen). But, many of my small boat models are in 1/10 scale. Finding a figure in the right size for a 1/10-scale model is pretty difficult, but I finally settled on something that looks like it might work. A while ago, I saw some ads for a pair of fully articulated figures, one male, one female. The figures are produced by Bandai, a Japanese toy company that makes action figures. 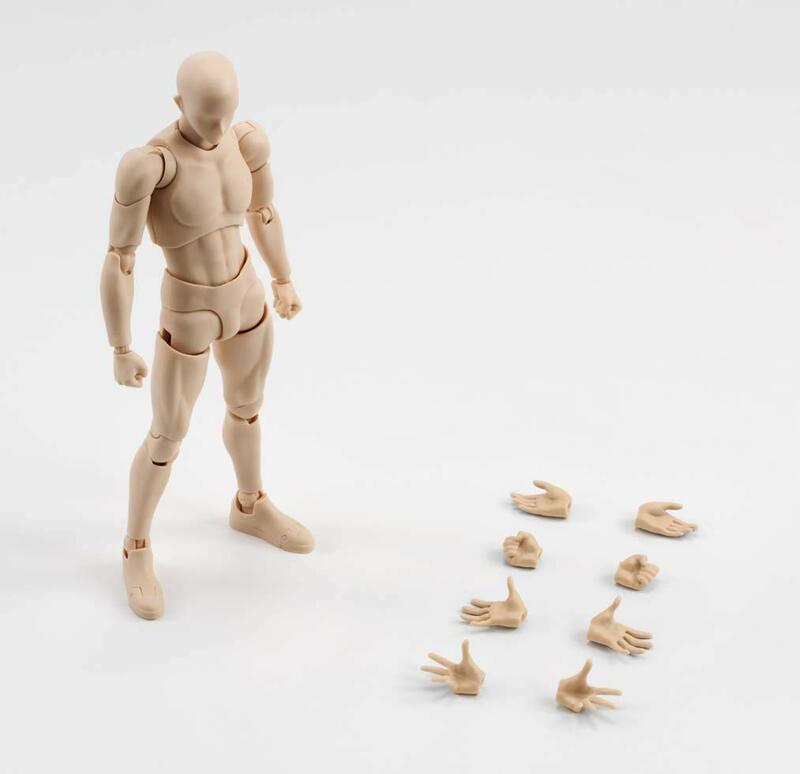 The figures are part of a line called S.H. Figuarts, with the male figure called Body-Kun, and the female figure called Body-Chan. 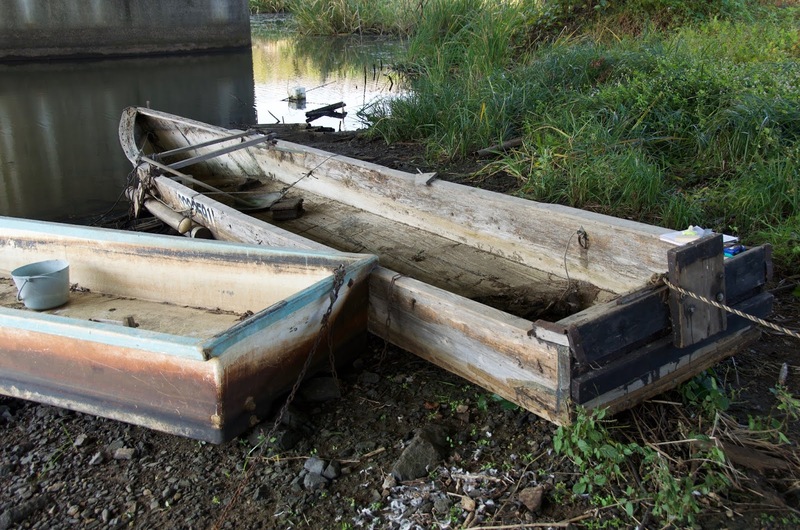 In early November, boatbuilder Douglas Brooks wrote a post on his blog about an unusual type of boat found in the area of Lake Biwa, Japan’s largest freshwater lake, which is located northeast of Kyōto. 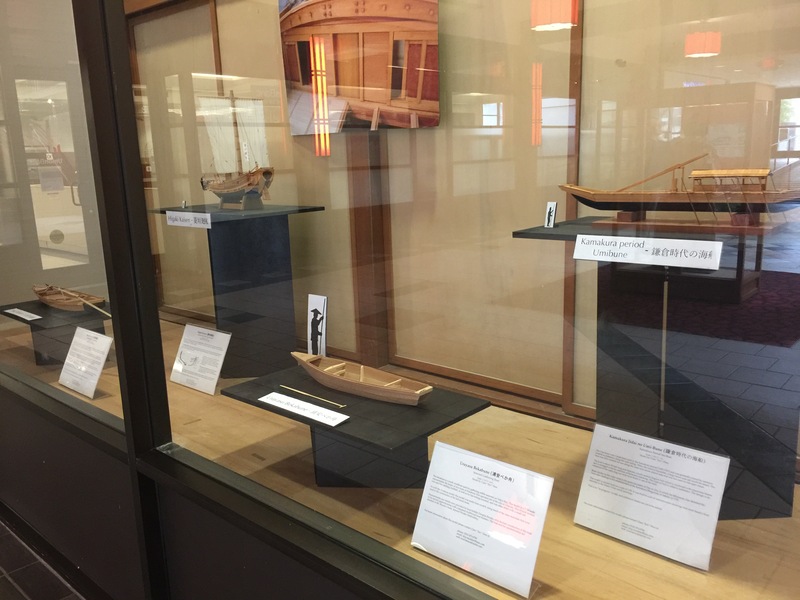 The boats feature a slightly rounded, sharply angled bow, built of narrow staves, called Heita. Heita bow construction on Lake Biwa boats. Photos courtesy of Douglas Brooks. Boats of Lake Biwa. Photos courtesy of Douglas Brooks. 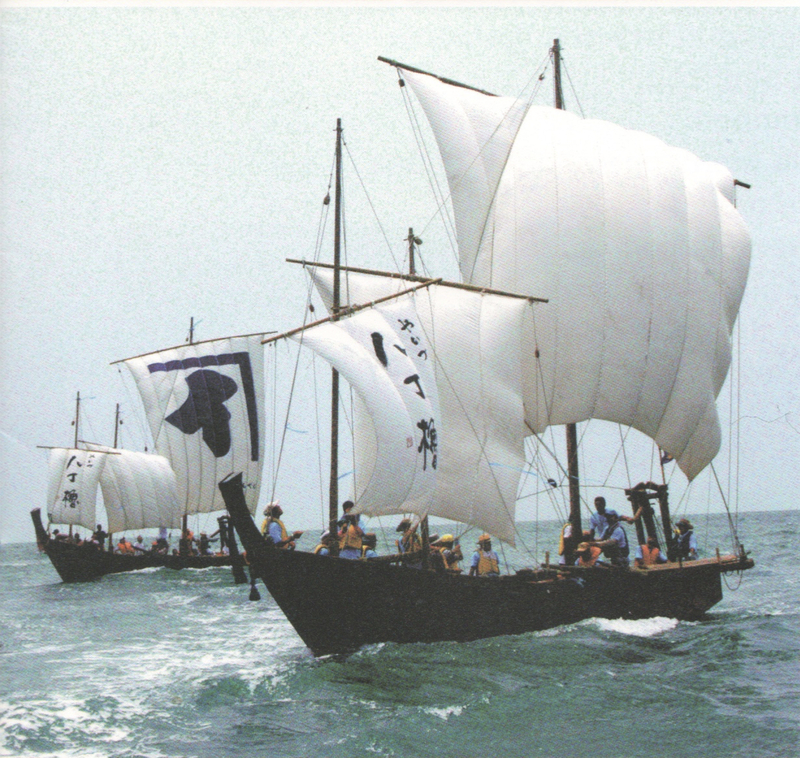 The heita-built bow is a type of construction common to many boats of Lake Biwa, including fishing boats, cargo boats, and even rice field boats. Mr. Brooks specifically mentions Marukobune (Mah-roo-koh-boo-nay). 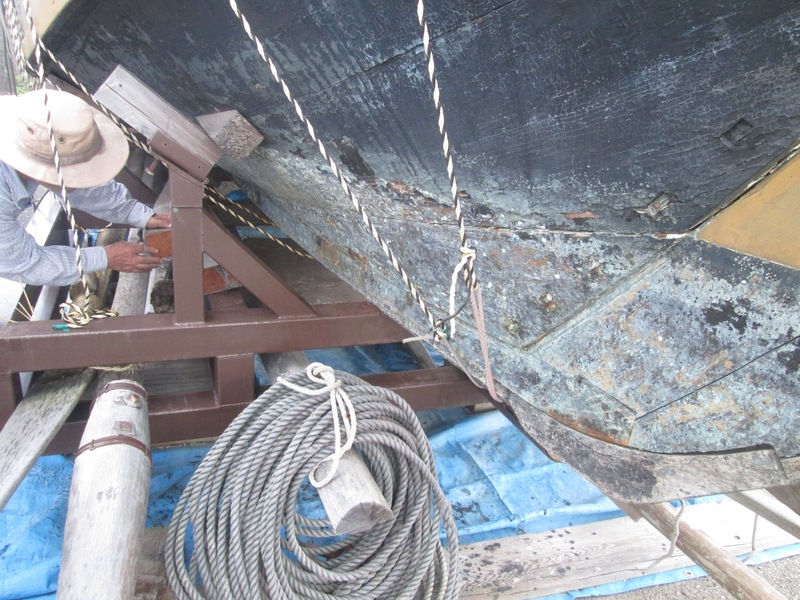 Though the boats he shows on his blog are not Marukobune, they share the same style of bow construction, and his mention of Marukobune in particular intrigued me, as I’d seen something about this type before, but didn’t know anything about it. I recently ran across a website on the Internet for a class on Japanese maps and travel literature taught at the University of British Columbia. The site is a repository of student work and appears to be quite current. I took particular interest in one piece of work on the Nihon Sankai Zudō Taizen, or the Complete Map of the Mountains and Seas of Japan. 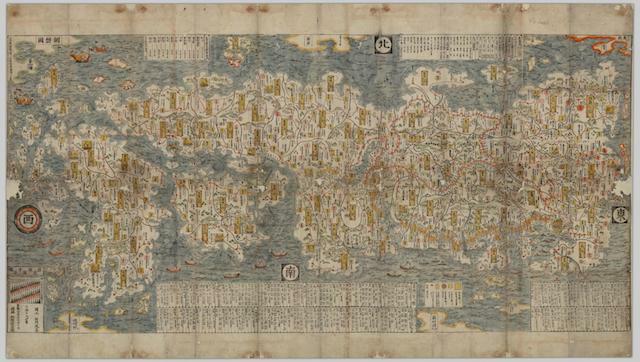 The map is a hand-colored woodblock print originally published in 1697. 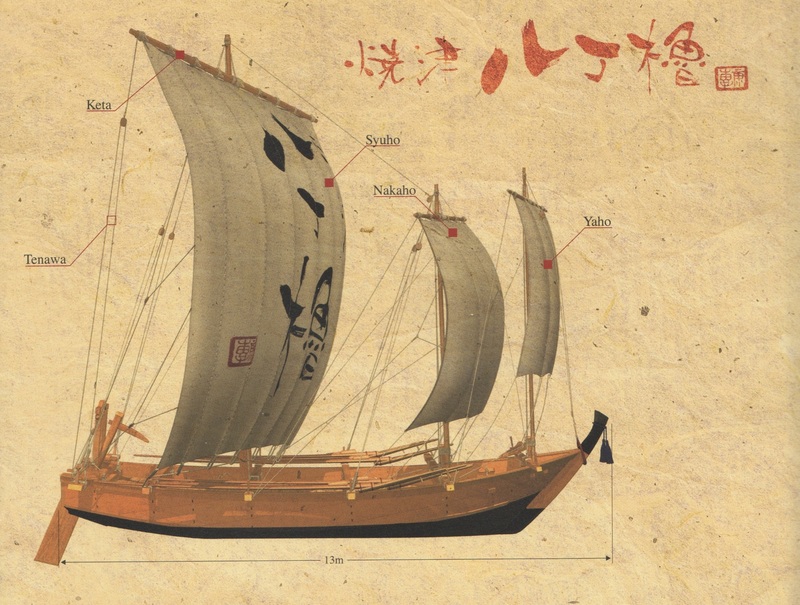 The student researched work discusses the map, its background, and some specific features shown on the map, namely, the boats depicted in the artwork. The article is interesting, and in fact the whole site is interesting. 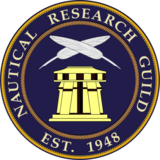 I don’t agree with the authors statement about the boats. I don’t think you can reliably discern anything about the types shown in the artwork. 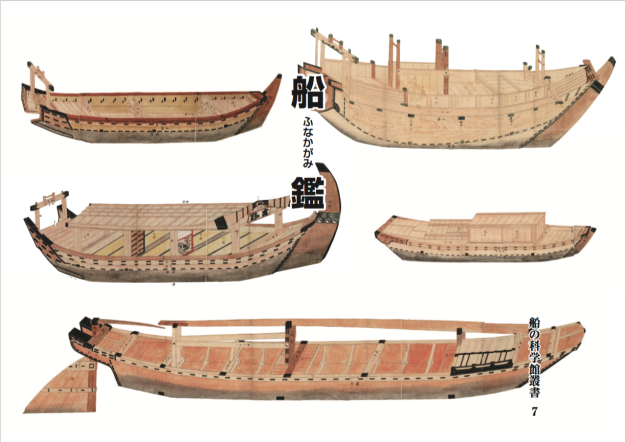 But, I did find it interesting to see my own Higaki Kaisen model shown in the section about bezaisen, and to see my personal ship model work website referenced regarding Tosa wasen, even if the author did misread the information I posted there. I just heard the sad news that the Hacchoro organization, which operates a pair of these replica bonito fishing boats, is shutting down. It was only a matter of time. 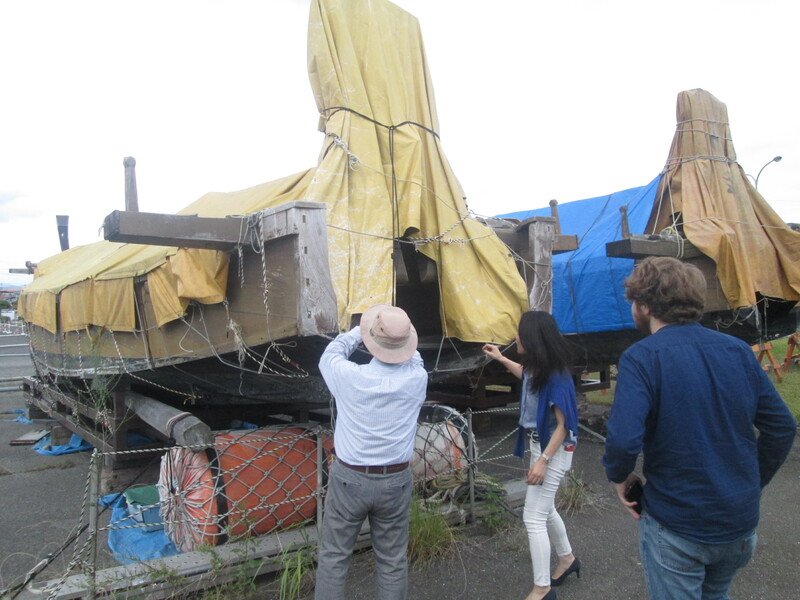 When I visited Yaizu in 2016 and was given the opportunity to look over the boats up close, it was clear that they were deteriorating. 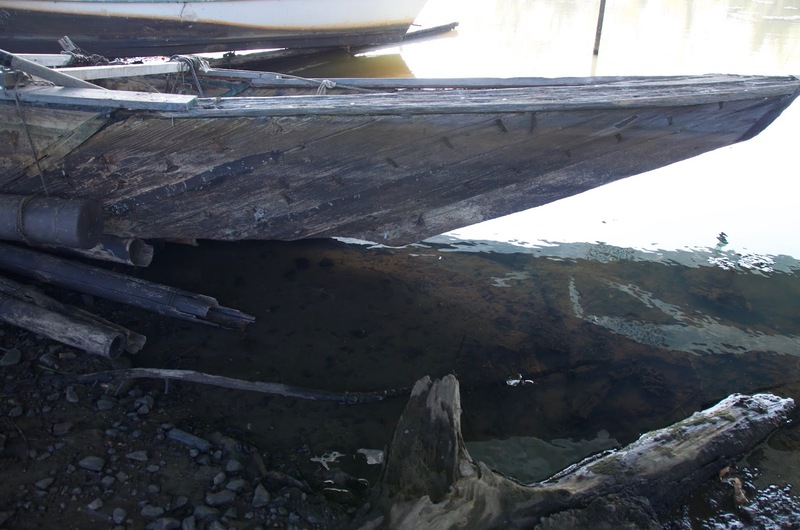 I was told at that time that when the boats were no longer useable that they would not be rebuilt or replaced. To my knowledge, these are the largest wasen that were still in operation. I feel very fortunate to have had a chance to see them up close before they were gone for good. The Hacchoro measured 13-meters long, or just over 42 feet. The name literally means “8 oars”. These boats could also be rigged with three masts and sails when the winds were favorable. They vessels were used for bonito fishing and each carried as many as a dozen fishermen. The boats would travel to the fishing grounds and use a pole and line method for catching fish. If you’re interested in building the kit, I’m considering doing a new build of an “upgraded” version of the kit, using my the notes I took on my 2016 visit to Yaizu, in addition to some other materials I’ve collected. Back in March of this year, I was digging through the images of the wasen recorded in the Funakagami. This, as you might recall, is a book put together in 1802 to identify the different boat types in use on the waterways of Edo for tax collection purposes. 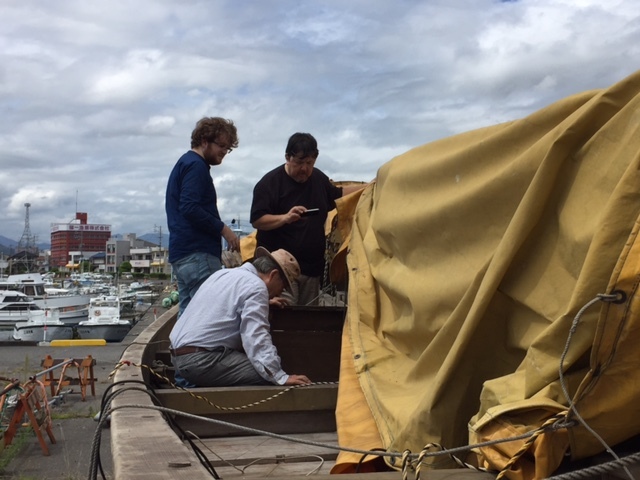 I just recently heard from boatbuilder Douglas Brooks that he is back in Japan again on a 7-week mission. This time, his goal is to travel to as many sites he can, where ukaibune, or cormorant fishing boats, are used. His trip began on October 30th and he’ll be traveling through Japan, with a brief stop in China to see the boats used there. An Ukaibune built by Mr. Nasu. As you may recall, cormorant fishing is an old method where fisherman used trained birds, cormorants, to fish in rivers. In Japan, the birds are called ukai, and the boats used in cormorant fishing are called ukaibune. 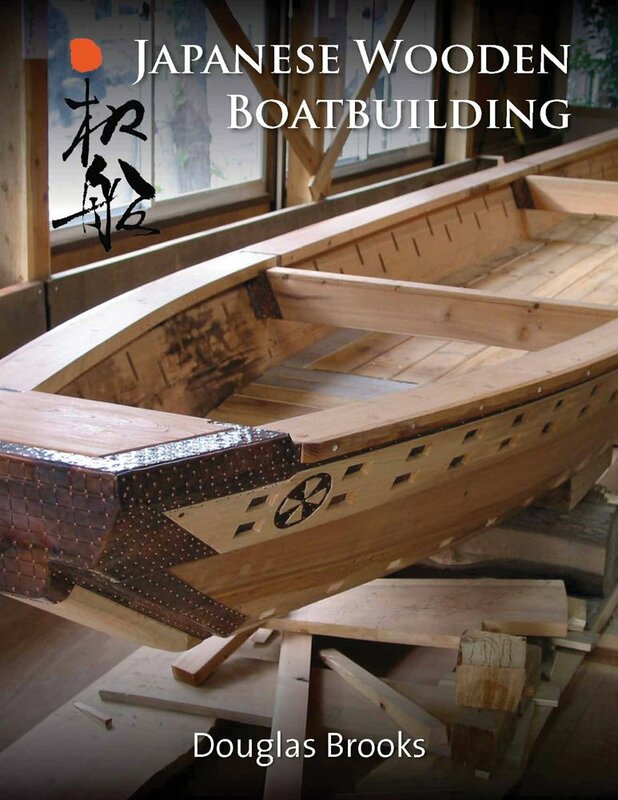 Last year, Mr. Brooks documented construction of an ukaibune in Gifu prefecture with 85-year old traditional Japanese boatbuilder Seiichi Nasu. That boat was launched at the Ukai Museum in Gifu City in July 2017.